Today’s interview is a little different from our recent ones. We were fortunate to have a few words with Sarah Miranda from Sun Coast Resources. They’ve participated in four Challenges so far and have placed 1st or 2nd place in their division each time! This definitely makes Sun Coast one of the most competitive teams that participates in our Challenges. 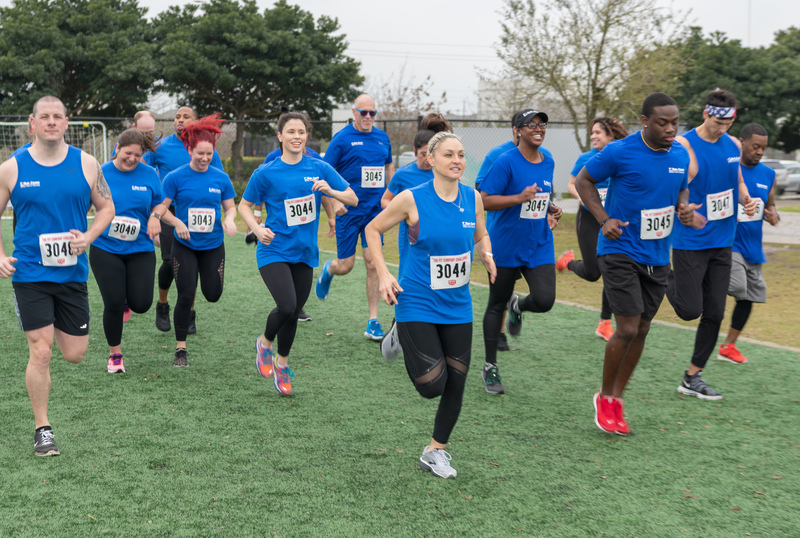 If your company enjoys its friendly rivalry and are the types who to go the events looking to win, there should be a few things you can learn from their training repertoire down below. How many years has Sun Coast Resources participated in the Challenge? We’ve just completed our fourth year. If I’m not mistaken, you’ve consistently been ranked near the top? We’ve placed first or second place in our division every year. Wow! So what does wellness look like at your company? It keeps us busy all year. Our CEO is all about wellness programs. We do walks to raise money for charities. We have a 5k club that does four-to-six competitive runs. We also do step challenges internally at the headquarters, stress management month, and weekly yoga. 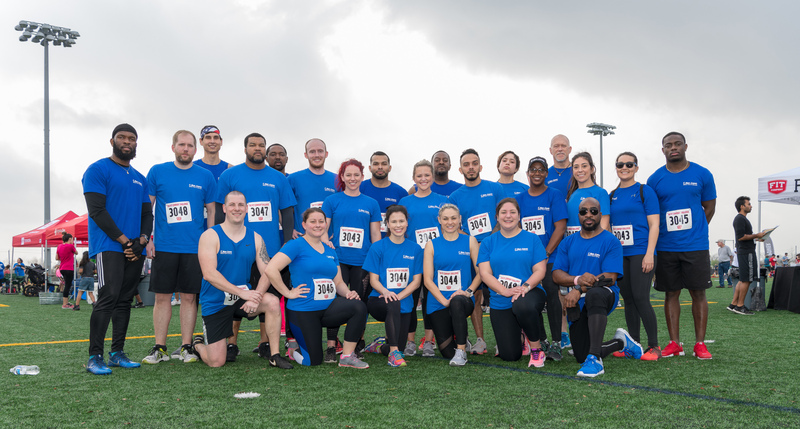 And, of course, the Fit Company Challenge has been a cornerstone of our wellness program, keeping us active and training together all year round. Does your company need to incentivize employees to participate in all this wellness? Our company handles all the entrance fees and sponsors the runs, of course, but there hasn’t been the need for any big pushes. We’re fortunate that we’ve gotten to the place where people just do it because they want to. How does your company prepare for the Challenge every year? A couple of ways. We’ve got our on-site gym, our wellness programs, and trainers who come in. One thing in particular is that we created a whole training program that’s based off the Fit Company training packets. With those, we then do eight weeks of training prior to the challenge. At the start of all our preparations, we also do a weigh-in, check BMI, things like that. After eight weeks, we do a second round of tests and we always see significant improvement in everyone’s bodies. I mean, when they get into it, they start pushing hard. It’s not just an “I need to get fit for a wedding” kind of push, but one where they know they want to compete. I heard you guys have fun selecting your team captains. What’s your process? We have a team captain “tryout” system in place, where we do a mock Fit Company Challenge with the equipment on hand. Whoever lands in the top six spots gets to become a captain. The captains then go through rounds of selection like a sports draft and build their teams from the pool of participants. Often, the captains are well-rounded athletes and they pick their teams based on everyone’s strengths, such as picking one person for endurance, one for speed, and so forth. By the end of the day, everyone will find themselves in a team for the Challenge, often with people they never worked with before. No matter who makes it to the top, our team captains are also the kinds of people who really care about their squadmates. They’re the ones who push them to improve their health and up their fitness game. Speaking of competitive, Sun Coast consistently scores in the top of its division each year. What’s that like? Well, we’ve been really competitive since our first year. We started our wellness program four years ago, and three months in was the first time we did the challenge and its grown ever since. Now, we go to each event with the goal of pushing ourselves, and placing among the top teams. I mean, we’re just so competitive against each other even during training that it would be hard to go out there and not try to win our division. What range of fitness levels are you working with at the office? We’re a corporate headquarters filled with office workers, but about half our employees here at any time are drivers. A lot of people spend their days sitting down and often start with some back problems and flexibility we need to work through. We started out catering to the athletic and competitive types, but now we’ve expanded it, encouraging anyone who wants to compete to get in there and grow our participation. Have you noticed any of the training habits continue after the event? Absolutely! At most corporate gyms, you’ll see people hit the elliptical and then get back to work, but we’re seeing people using kettlebells, tension bands and other stuff we picked up from the event. Has the culture at your company shifted as well? For sure. It’s easy to be unhealthy in Houston (chuckles), the cards are stacked against us! But in just this last year, we’ve seen a really big culture change at Sun Coast. It’s become cool to be healthier, to go to the gym on a lunch break. I’ve seen that people are buying healthier food, eating more fruits, and enjoying high protein meals. The whole culture has shifted at the office. Has the Challenge impacted team spirit? Absolutely. I spend most of my time in my office in our gym, and I’m constantly hearing people from different departments talk about the Challenge after they signed up. They’re like “oh you’re so and so from such and such department. Nice to meet you!” It’s people who wouldn’t normally interact with each other who are now suddenly meeting outside of work, recognizing each other in the gym, and so forth. And this wouldn’t have happened if they weren’t all working towards the same goals. What do you do to keep the momentum going before the event? We send out weekly email updates, mention how the training is going, point out new healthy options at the cafeteria, that sort of thing. We also provide new workouts each week, one that’s strength-based and one about endurance. We encourage our participants to do each workout twice. What does Sun Coast do to celebrate after the event? We make a special announcement to the whole company. We point out which teams came in what place, as well as our company’s overall placement. We also take tons of photos during the event and share those with everyone. We literally talk about the Fit Company Challenge year-round. It’s significantly changed the lives of some of our people. They set goals, make health targets for their next year, contribute to these events, see changes in their own bodies. Special thanks again goes to Sarah for having taken the time to talk with us about their company and participation! It’s great to hear from teams that really go all out for wellness and enjoy the friendly competition. We’ll be in Austin at the end of the month, and then over in Dallas then San Antonio in early May. Looking forward to catching up with everyone on the field!